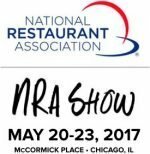 THE NRA’S 2017 KI AWARD® WINNERS | Lafayette Restaurant Supply, Inc.
By Carla Landi The National Restaurant Show in Chicago is right around the corner and we are excited to… The post THE NRA’S 2017 KI AWARD® WINNERS appeared first on Lafayette Restaurant Supply, Inc.. The National Restaurant Show in Chicago is right around the corner and we are excited to see all of the innovative new products, trends, and business solutions for the foodservice industry. Save money, time, and space while improving food quality. Garland’s Xpress Grill performs while controlling energy and temperature management. It automatically adapts to either 208V or 240V. Each cooking lane is independently controlled and can be set at a different temperature or even turned off when not needed. Features a new easyTouch® screen design for simple and intuitive Press and Go action. There are too many features to mention. Watch for more on this product in a future Kitchen Biz article. Panasonic’s new commercial induction cooktop is one-of-a-kind. They designed an induction cooktop that can be used with any kind of pan, iron, steel, copper, and even aluminum. They have taken away the famous drawback to induction cooking, but kept the great advantages associated with this popular cooking method. Article and video featured in Kitchen Biz. This is the first combination oven that can be built right into a cooking line. There is no need to allocate extra space in your kitchen for combi cooking applications. Chefs can have the versatility of steaming, roasting, broiling, and combi cooking without walking away from their high-volume cooking suite. The TruVapor delivers with a low profile that fits into the line and serves as a base for a rangetop or griddle. A steam generator provides plenty of power. Article and video featured in Kitchen Biz. It’s a walk-in keg box solution that reduces the risk of employee injuries by eliminating the need for the lifting of 160 lb. kegs. The Keg Management System combines a walk-in cooler with a built-in electric hoist and integrated cantilever shelving. The hoist utilizes a track system and is designed to lift and stack kegs anywhere within the walk-in, making it easy for one person to safely move and organize kegs without the risk of injury. The Keg Management System was also featured at NAFEM’s What’s Hot, What’s Cool® product gallery and was recently featured in Kitchen Biz. Vulcan’s VC5G boasts one of the best convection oven cooking efficiency scores ever in ENERGY STAR® testing. A huge Perk: These ovens feature fully removable, dishwasher-safe doors. Just lift off these 20 lb. doors and put them in the dishwasher or a 3-compartment sink. Clean convection oven windows without all of the hard work—Now that’s a great labor saving solution. Watch for more on this product in a future Kitchen Biz article. Don’t miss out on seeing new innovations for your kitchen operation at the 2017 National Restaurant Show, May 20-23. See you there!